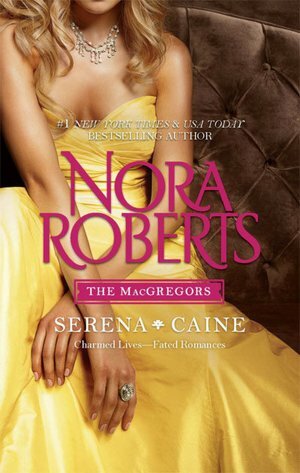 This book is a re-release of two of Nora Roberts books featuring the MacGregor family from 1985. Whoa, it's been a long time since I read anything written this long ago. I forgot how corny some of the romantic scenes could be. Between that and societal changes...lots of sexual harassment, smoking indoors, mentions of typewriters and telegrams. It was kind of fun to revisit this older style of romance. And quite honestly, beyond the corniness and the cliche conflicts, I did enjoy reading both of these stories. Serena MacGregor had been looking for a little independence and some much-needed adventure, but Justin Blade was not what she had in mind. The stakes were high, and Justin was betting on changing Serena's mind about him. But when this fiery heiress upped the ante on the cool Comanche gambler, steamy didn't begin to describe the results. Daniel MacGregor is the patriarch of the MacGregor clan. He has mentored Justin for 10 years, but in that time, Justin has never met Rena, Daniel's daughter. When Daniel convinces Justin to take a vacation cruise, Justin doesn't think anything of it. As a professional gambler, he is immediately enchanted with a female dealer who works on the ship, Serena. Unbeknownst to either of them, they have been set up by Daniel to meet. In this book, the cruise ship made the book. I am not a huge fan of books based around gambling, but I loved the ambience provided by the ship and the exotic ports of call. I enjoyed the MacGregor family clan and the story line of Justin's past. These books are based around family and the family dynamics were defined and highlighted very early so that you realize how important the family ties are to the overall story. I liked that. Justin had a HORRIBLE childhood, so that makes it so that he appreciates the MacGregors all that much more. Attorney Caine MacGregor had a reputation for being a demon in and out of the courtroom. The dashing young attorney rarely met a case—or a woman—he couldn't win. But Diana Blade was no ordinary lady. 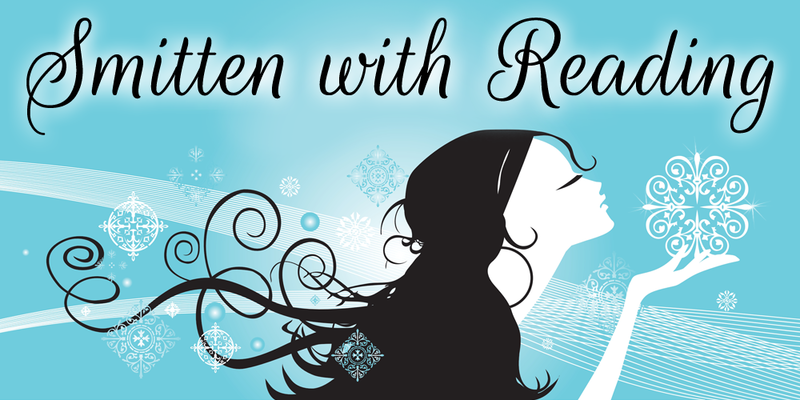 Caine yearned to break down her icy wall of control and release the passionate woman within. He might be able to convince Diana to form a business partnership, but could he entice her to risk everything for the love of a MacGregor? For me, this book seemed to have a bit more depth than the first. Diana is Hunter's (hero from the first book) younger sister. When their parents died, he abandoned her to a harsh, strict aunt and Diana basically grew up without knowing any love in her life. That has left her with HUGE scars when it comes to relationships. She has been ruled with an iron fist by her aunt her entire life. Now that she is out on her own and able to make her own decisions, she NEVER plans to open herself up to someone else. She never wants to give anyone else ANY power over her life OR the ability to leave and hurt her like her entire family did when she was little. The flip side of that is Caine who has always had a very easy time with women, so when Diana turns him down, he is hurt and devastated. There is a lot of emotion in this book. And again, this is a book that shows its era because there is a LOT of sexual harassment in it too. One minute Caine will be attacking Diana and telling her that he is going to bed her...it's a guarantee. Then the next minute, he's trying to forge a work relationship. It was almost funny how unacceptable that would be now. No woman in her right mind would give a guy like that ANY leeway in her life....personal or professional. We have definitely changed in the last 27 years. Glad you liked them even though they were written in 1985! Seriously in your book Serena's hero is called Hunter? In mine he's called Justin! That's strange! I wonder if they thought Justin wasn't a very american name or something? !